X-Men: Apocalypse, the latest installment in the X-Men franchise (as well as the fourth directed by original X-Men (2000) helmsman Bryan Singer), is now playing in theaters around the globe. 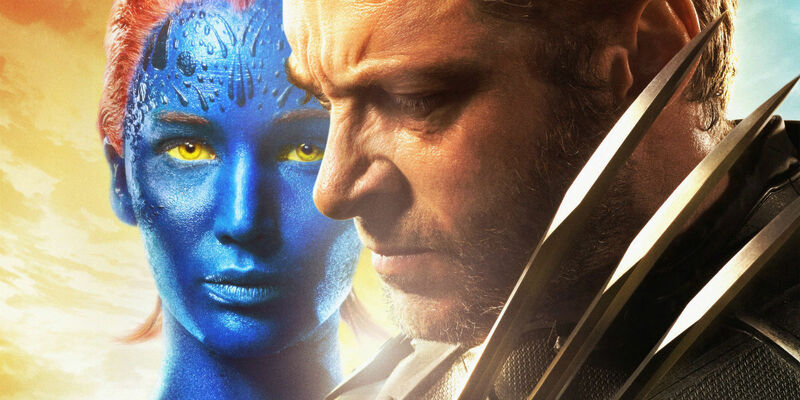 The film not only ties up over-arching plot threads from both X-Men: First Class and X-Men: Days of Future Past, but also paves the way for future installments in the Marvel comic book-based series - most notably, New Mutants (which is expected to arrive in 2018) and next year's Wolverine 3. The young versions of famous X-Men such as Ororo Munroe/Storm (Alexandra Shipp) that are featured in Apocalypse are rumored to serve as leaders/mentors for the New Mutants squad - and the Apocalypse ends credits scene alluded to the existence of what may be the primary villain in the next Wolverine film, in the form of Mr. Sinister. Wolvie himself, as played by Hugh Jackman, makes a memorable appearance in Apocalypse too; though, screenwriter Simon Kinberg has now revealed that Wolverine's role changed significantly during Apocalyspe's script development process. There was always a notion that we wanted Wolverine to be in the movie. We wanted to find a way to feature him in the film, partly because Bryan [Singer] and I love Hugh [Jackman] so much. We love the character, obviously, and he’s such a huge part of the franchise. There were a lot of iterations of how Wolverine would enter and exit the movie. There was a version when he was going to come in at the midpoint of the film and be like the drill sergeant for the kids and take over as their leader. And we felt like that stepped on [Jennifer Lawrence's] role in the movie and becoming their leader. As we were, again, conceptually brainstorming the script, we knew that the kids were going to be abducted, or that a lot of our main characters were going to be abducted and taken somewhere. So we thought it would be interesting to take them to Alkali Lake, and that they would naturally, potentially… that the Weapon X program would be there, and maybe that was a place to find Wolverine. It's (probably) for the best that Wolverine's role in Apocalypse turned out the way it did. Having Logan serve as a "drill sergeant" for the young X-Men mid-way through the film - after James McAvoy's Charles Xavier has been captured by Apocalypse (Oscar Isaac) and his Four Horsemen - might have felt out of character for the version of who's around at the time of the film's 1983 setting; namely, the Wolverine who was a troubled (and aggressive) loner after having gone through his Weapon X transformation and still years away from meeting Professor X himself. Mystique stepping up as a leader for the X-Men after Charles is kidnapped brings the arc for Lawrence's rendition of the character (introduced in First Class) to a satisfying resting place in Apocalypse - better than if she and Wolvie had "shared" that role in the film. Jackman's version of Wolverine will get his own shot at going out in a blaze of R-Rated glory and concluding his time in the X-Men movie franchise on a high note, when Wolverine 3 is released in 2017. Wolverine's Apocalypse scene even plays out as a teaser for Jackman's last screen turn as Logan, complete with the PG-13 Rating-pushing bloodshed that sets the stage for Wolverine to fully unleash his "Berserker Rage" in his film trilogy capper. Whether or not Apocalypse needed to include any such "teasers" for the upcoming X-Men movies - that's another hot discussion topic surrounding the film altogether.